One of my favourite restaurants of all time is Michael O’Grady’s seafood restaurant O’Grady’s on the Pier in Barna just outside Galway City. And even better is that it is a local restaurant for me! 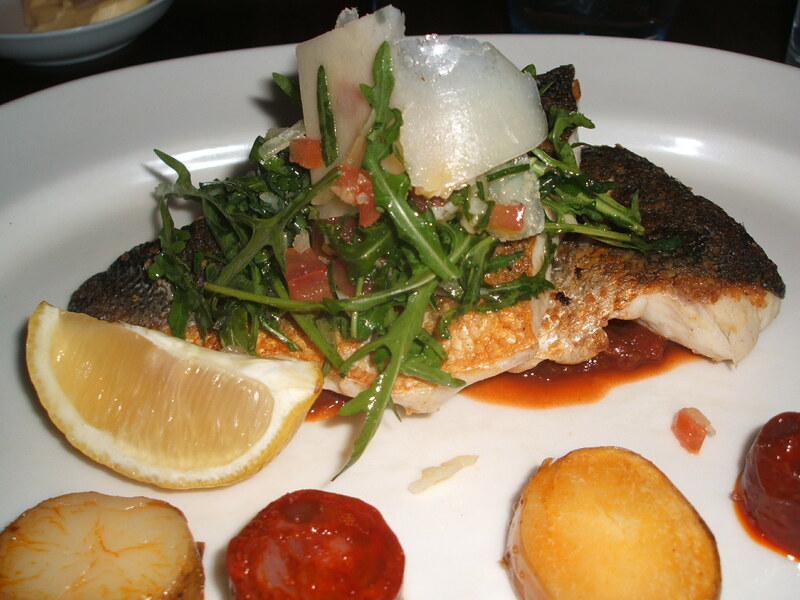 The restaurant is renowned for its seafood and has won many awards including Best Seafood Experience at the Restaurant Association of Ireland Awards 2011 – an award it is shortlisted for again this year. It’s location is another huge plus factor being right down on Barna Pier with gorgeous views across Galway Bay. I have been to O’Grady’s both for dinner and lunch a number of times and it is always a treat. The location is equally stunning on a stormy winters day as it is on a sunny summers day. And when the sun does shine, there is the option of eating outside facing the sea. I love Sunday Lunch at O’Grady’s where you can have a three course meal for E27.95 (or each dish is individually priced if you don’t wish to have 3 courses). Starters typically include soup, O’Grady’s famous chowder, smoked salmon and caeser salad. Main courses typically include a number of seafood options depending on availability and old favourites such as Breast of Chicken and Pork Belly. My most recent visit was for dinner where a “Specials” menu lists the fish options available that day whilst the a la carte lists the regular dishes. A basket of bread was brought to the table with the brown bread being a particular winner with both nutty and treacle flavours. We chose a bottle of the house Sauvignon Blanc (Chilean – Millamann Condor) and it was very good – the house wines are particularly good at O’Gradys. 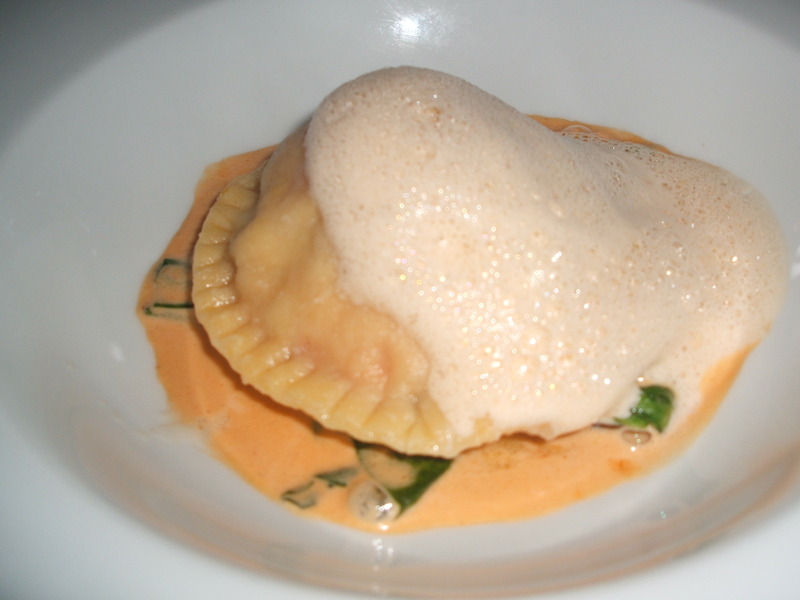 We only ordered one starter – a Raviolo of prawn and red pepper which was served in a bisque. It was very good indeed and I would have it again. For mains, we both ordered Sea Bass. This was served with roast potato and chorizo and was garnished with a rocket and tomata salsa salad with parmesan cheese. This was an outstanding dish, the fish was cooked to perfection and the presentation was beautiful. The dish was accompanied with a side dish of potatoes and vegetables (carrots, cauliflower, peas, leeks). Other options on the menu included Atlantic Cod, Silver Hake, Monkfish and for meat lovers there were steak, duck and lamb dishes. Almost beaten, we managed one dessert – the Creme Brulee – which was very good. Other dessert options included a Zesty Pistachio and Olive Oil cake served with roasted strawberries and clotted cream, O’Grady’s Apple Crumble, Sticky Fudge & Pecan Parfait and Valrhona Chocolate Brownie. Our bill for one starter, two main courses, one dessert, a bottle and a glass of house wine and a french coffee came to E102. O’Grady’s is a wonderful restaurant and it is always a winner in terms of food, service and its stunning location.